Every few weeks we see another article in a local newspaper or hear another story on the radio about how board games are “making a comeback” or “gaining in popularity” compared to video games. The relatively new phenomenon of the board game cafe has fueled a lot of the recent wave of articles. Inevitably, when these mainstream stories are reported in the tabletop gaming press, the eye-rolling is nearly as loud as the audible sighs from dedicated board game enthusiasts. “Board games never went anywhere,” we exasperate. “Catan has been around for nearly twenty years,” we peeve. “Welcome,” we should be saying. 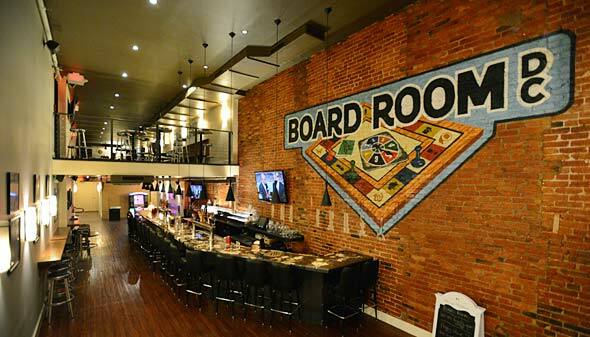 The media’s clockwork astonishment in finding board games being played might be traced to the fact that, until the recent boom in board game cafes, board gamers have largely been invisible. Our weekly game nights are in someone’s basement or living room. If we go out at all, we’re tucked into the back rooms of our friendly local game stores. Is it any surprise the media doesn’t know we exist? We can change this. We can play games in public spaces. We can invite strangers to sit down and learn a new game. We can no longer wait for them to come to us. Be visible! Take advantage of public spaces at your local library. Many already support gaming in the library. Check with your neighborhood branch or main library for available programs or volunteer to start your own. Be proactive! 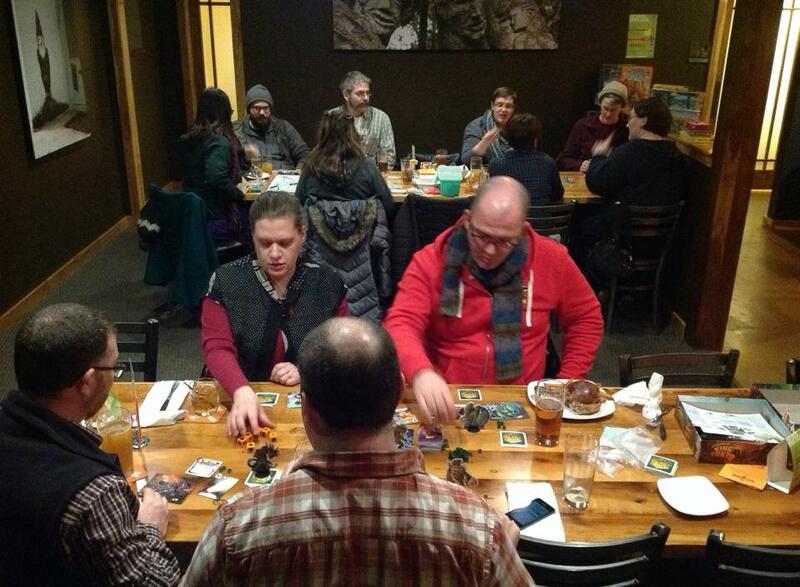 Organize a game night at a local pub or coffee house. Most establishments will welcome the extra business on a slow night. Be courteous to the staff and other patrons. Establish a rapport, and people will seek you out. Madison Board Games and Beer at Next Door Brewing Company. I started a bi-weekly game night at Next Door Brewing Company, a neighborhood brew pub. I created a Facebook group to organize it, called Madison Board Games and Beer. It’s an open group; anyone can join and members are encouraged to host their own game nights. We’re up to 129 group members and growing quickly. Board gaming is main stream. We are main stream. It’s time to let everyone else know. Nicely written, Brett! It’s sort of like saying “playing darts is making a comeback” because someone wandered into a sportsbar that has a wall of them and they were getting used. For people that do it, it really isn’t “coming back” … it just is. I do like your suggestion on finding more public spaces to play. How did you pick the brewhouse you did? Did you talk with them about it ahead of time, or just invite friends to meet up there for games? Well, the then-brewmaster and co-owner is a friend, and he asked me if I was interested in starting up a regular game night. I’d previously done game days and nights at a couple of other places around town before Next Door Brewing opened, but hadn’t done anything regularly for a couple of months. When I toured NDBC on their soft open, the big tables were an immediate draw. I commented on their gaming suitability and Keith kept that in the back of his mind. But, a large part of that is being known as “the game guy” in most of my social circles. I think many of us are “game guys” or “game gals” and that gives us a unique opportunity for outreach that we shouldn’t squander. Thanks! I hadn’t seen them yet.